mashed potatoes? 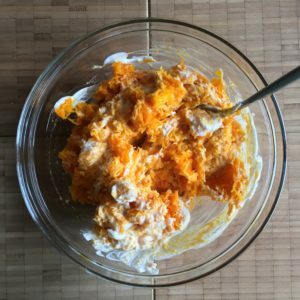 no – it’s mashed pumpkin! Autumn arriving boldly – it’s pumpkin season! Well… the popular hokkaido is available year round by now, however, some species like butternut, the big Halloween pumpkin etc. 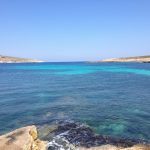 are only available in autumn until early winter. 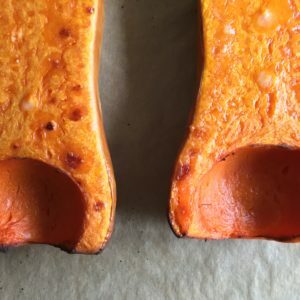 I think that I posted more than once pumpkin dishes – my favorites for working with are still hokkaido and butternut. 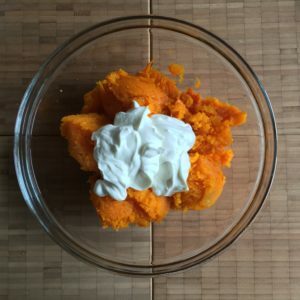 During my childhood, my teens, my twens… & later… pumpkin wasn’t a dish I liked or prepared for any dinner. 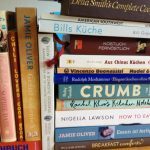 Only some years ago I discovered some really delicious types of pumpkin & some really delicious ways of cooking/baking/roasting pumpkin! Today I like to summarize an approach to puréed pumpkin (or simply mashed pumpkin) which resembles soft mashed potatoes w/ a hint of spiciness. Do you know what’s the best at all? It’s easy to prepare, doesn’t take your time excessively, may be stored in the fridge, reheated in the microwave… & it’s always creamy & tasty! We start w/ preheating the oven to 190° C w/ fan. We scrape out the seeds & the soft, fibrous pulp: just take a spoon – it’ll work fine. Afterwards we place the halves on a baking tray lined w/ baking parchment (to spare ourselves some additional cleaning time…). Add a splash of olive oil & rub it over the surface. Then into the oven. After about 30 min (or 40 min or 50 min – always depending on the size of the butternut!) 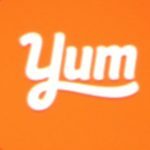 the pulp is soft – & hot! When the butternut is roasting we can chop the onion & the bacon. Let’s fry it in olive oil for up to 20 min until soft. For the sake of unharming our hands & fingers let the butternut cool down for some minutes after the oven session. However, it should be somewhat between rather warm & less hot when working w/the pulp. 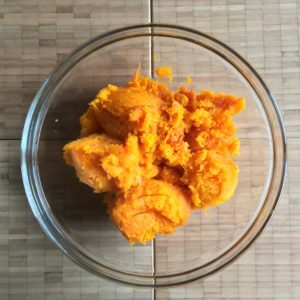 At first we grab a spoon & scrape out the pulp: it’s so soft – it’s so easy! We should’ve mashed the goat cheese & mixed it w/ the Greek yoghurt during roasting time. Now let’s add the mess to the butternut pulp & mix w/ a spoon. 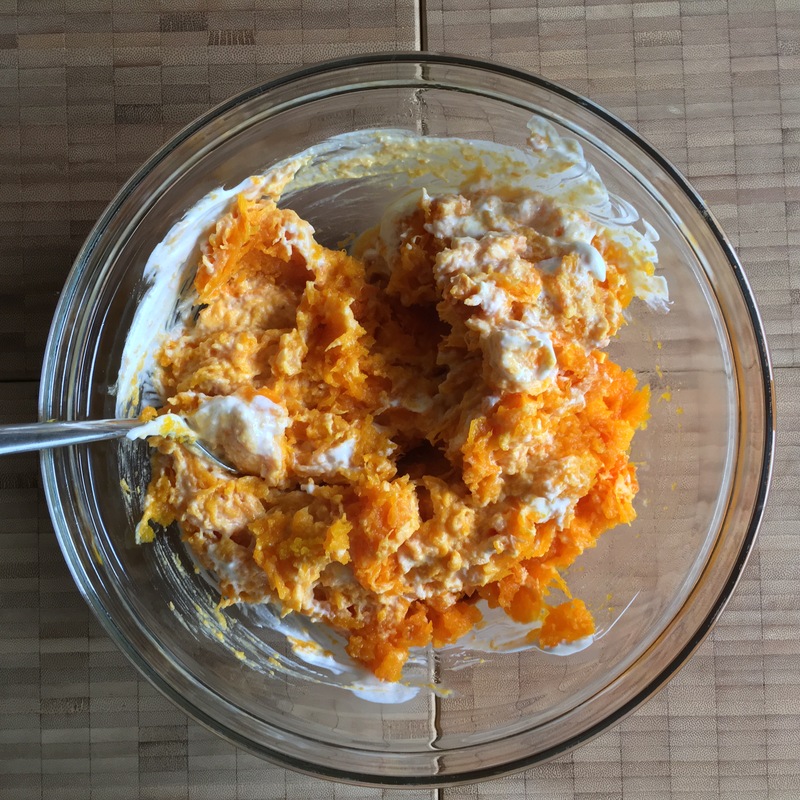 I tried some variations… Instead of Greek yoghurt (10%) I had sour cream (20%): fine! Instead of a mix of fresh goat cream cheese & yoghurt/sour cream I had a store bought cream cheese w/ goat milk: also fine! At the end it depends only on you how much goat flavour you like. mashed potatoes? no - it’s mashed pumpkin! 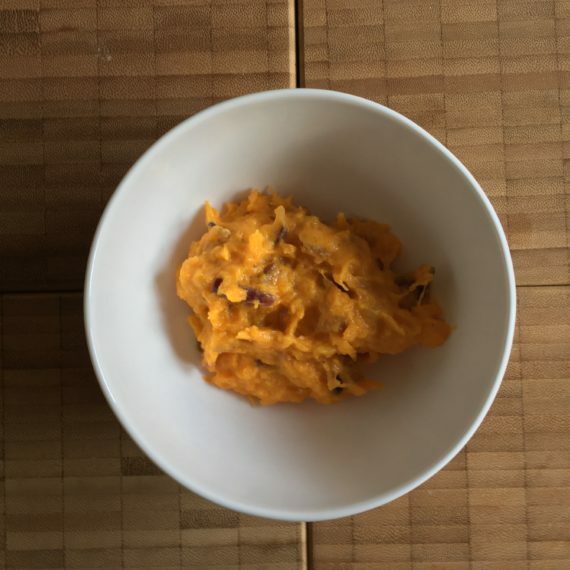 The idea is to replace cooked potatoes by cooked pumpkin (aka soft butternut pulp) and flavor the side dish with goat’s cheese, bacon and spicy onion. Preheat the oven to 190° C w/ fan. 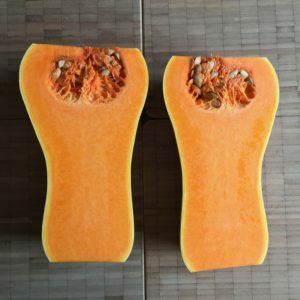 Cut the butternut into halves, cut off the stems, scrape out the seeds & the mushy pulp w/ a spoon. Add some olive oil & rub it all over the surface. 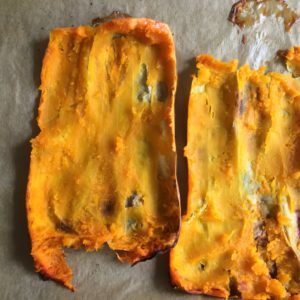 Place the butternut halves on a baking tray lined w/ baking parchment. Let it bake for about 50 min. 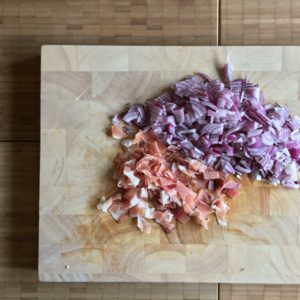 In the meantime chop the onion & the bacon. 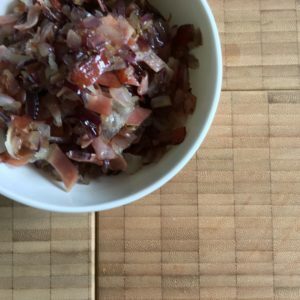 Fry onion & bacon pieces gently in olive oil for about 15-20 min until soft (but not burnt!). Mix crushed goat cheese & Greek yoghurt. 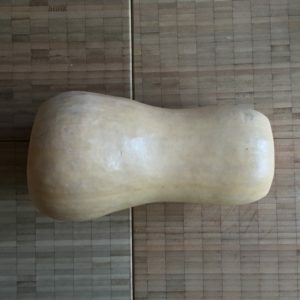 When the butternut is soft (make the famous test w/ the wooden pin!) let it cool for some minutes. 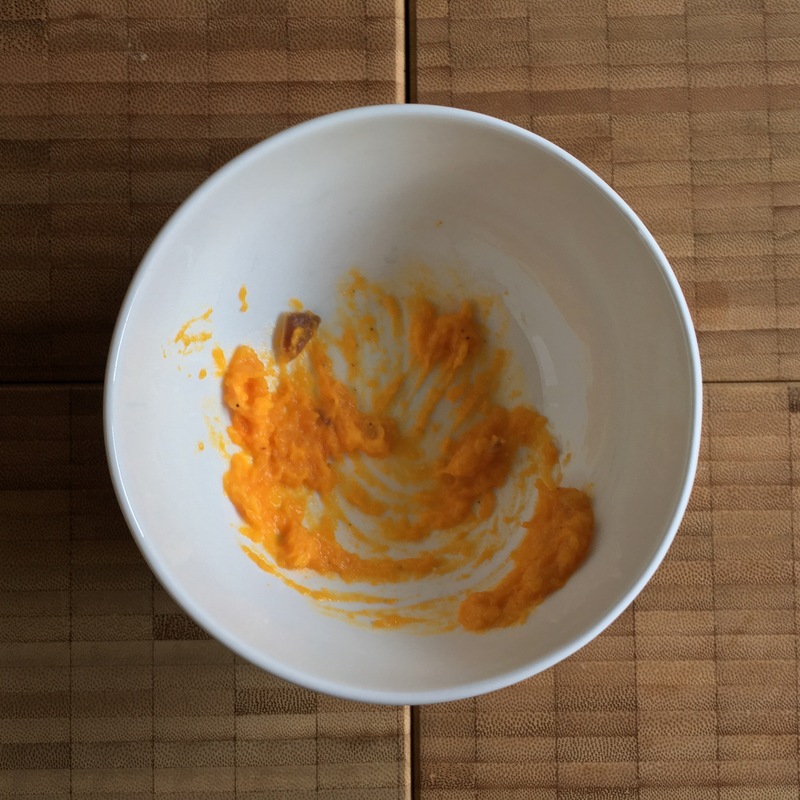 As soon as possible spoon the soft butternut pulp in a bowl. Add the goat cheese yoghurt mix & mix thoroughly w/ a spoon. Finally add the bacon onion mix & mix thoroughly - once again w/ a spoon. Serve at once or let it rest in a casserole for reheating. 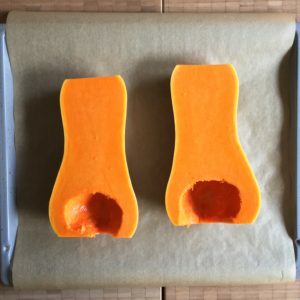 Prep Time: It’s the preparation of the butternut. 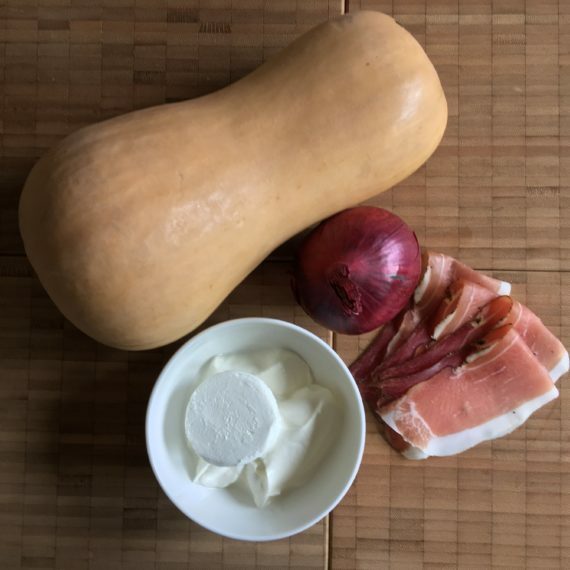 Cook Time: It’s the baking of the butternut - I assume that the chopping, frying of onion & bacon as well as the mixing of goat cheese & yoghurt is done while the butternut is roasted in the oven. Goat cheese: I used fresh cream cheese from 100% goat milk. 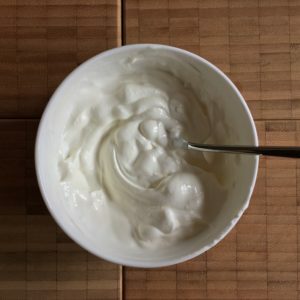 Greek yoghurt: You may substitute sour cream for Greek yoghurt. ...& you may also use store bought cream cheese w/ goat milk. 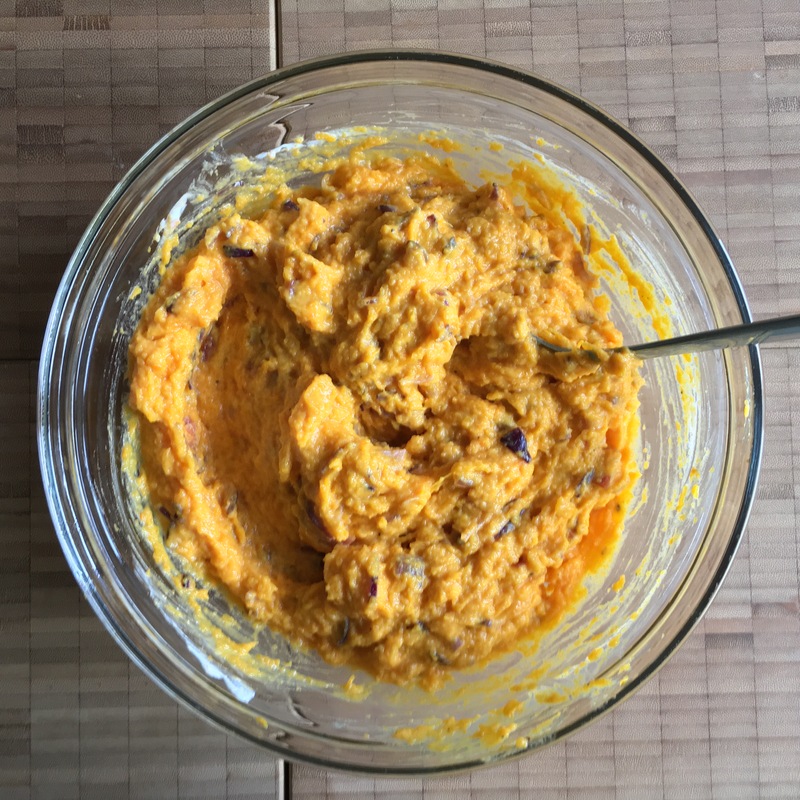 Depending on the size of the butternut you should adjust... Take only about 100-120 g goat cheese yoghurt mix for a smaller butternut of about 1000 - 1200 g.
Mashed pumpkin can be stored in the fridge for 2-3 days. Just reheat it in the microwave. 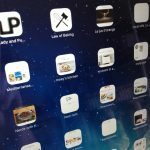 Sorry: no experience w/ freezing! 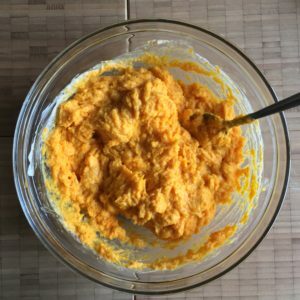 We can enjoy the mashed butternut at once (in this case hurry up finalizing the butternut pulp after roasting in the oven!) 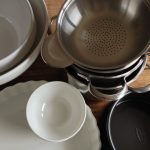 – or we store it in a casserole to heat it up later (either in the microwave or in the oven – depending on the rest of the meal). I really like the simplicity of the dish as well as the fast process. 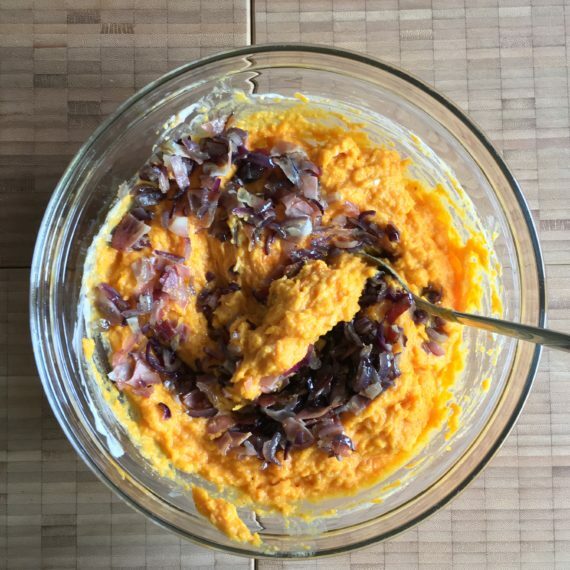 Butternut is sweet so I think it’s always fine to add some solid strong tasty flavour like goat cheese, bacon & spicy onion! However, maybe I’ll try some other approach soon (w/ Gruyère, ham… w/ chili…). 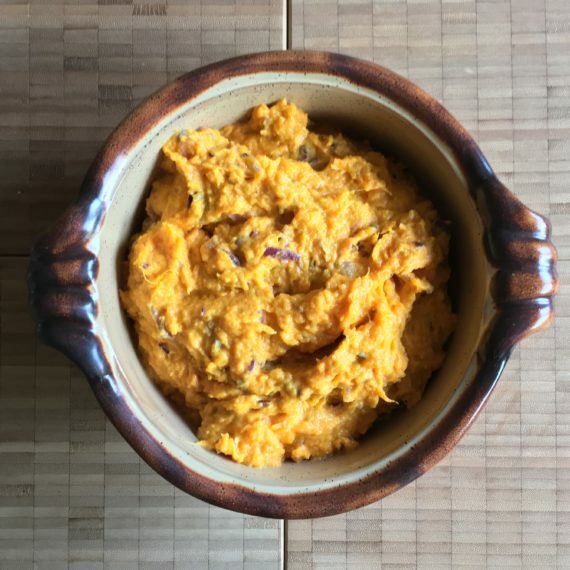 Mashed butternut is an alternative to mashed potatoes. We had it w/ fried pork chops as well as w/ fried fish fillet: both times it was a delicious meal!